Schultz Center is the perfect location to host your next big event. 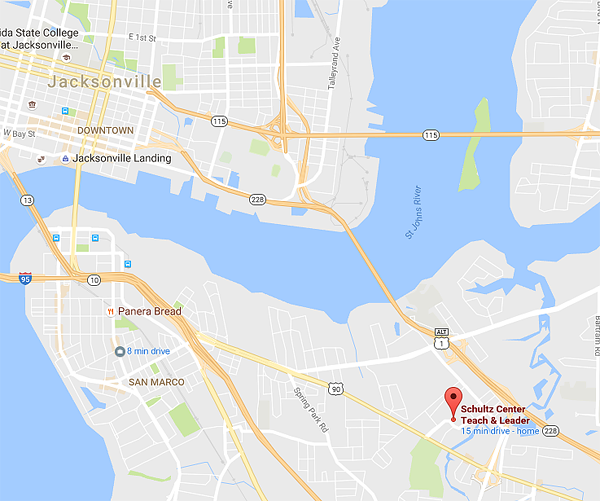 We’re conveniently located close to Downtown Jacksonville and historic San Marco. Unlike other venues, we include free WiFi and a full digital HD projection system with digital audio. We’ll also provide you with an instructor laptop and doc camera to use during your event. Our Gentry Ballrooms provide plenty of space for entertaining, with bi-fold doors that conveniently open to Gentry A and Gentry C for extra space. Come see why so many others rave about events at Schultz Center. The Assistant Principal Academy is a rigorous instructional program designed to provide multiple opportunities for assistant principals to expand their knowledge and skills to become viable candidates for the position of principal.